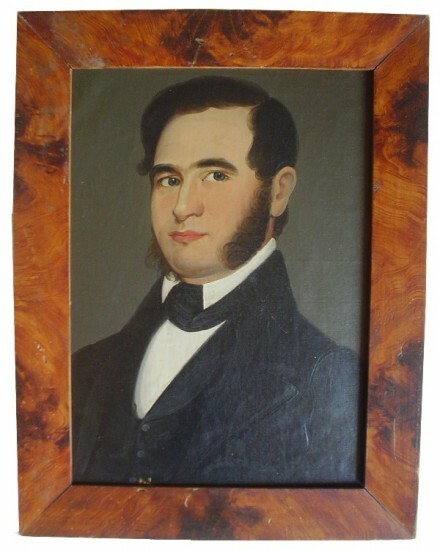 Mid 19th C. portrait of a stylish young man in the Prior-Hamblin manner. Painted on a light canvas material and mounted on board. Painting is in excellent original condition. Displayed in a nicely grain painted frame. From a Virginia collection. Sight size 13 1/2″ by 9 1/2″.